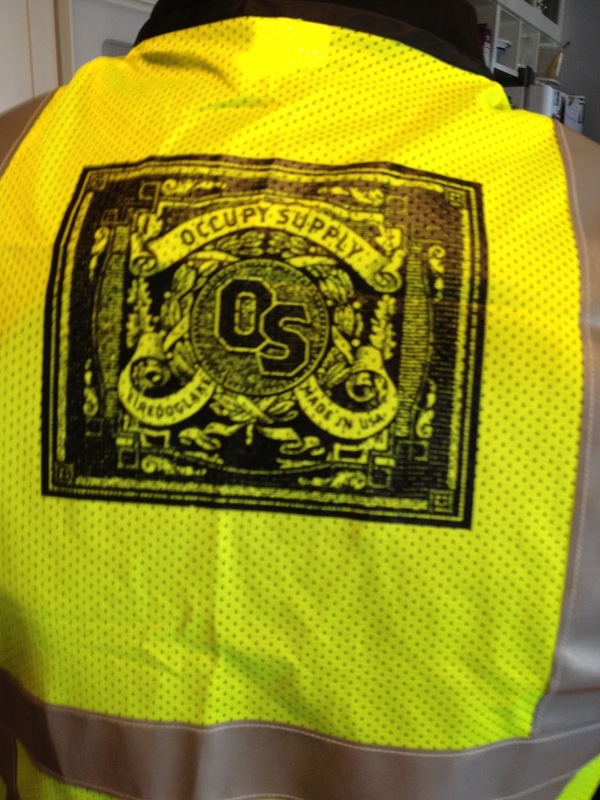 Occupy Supply Safety Vest–so I provide all those flag waving, truck driving, Tea Partiers a big target! Strange though, no one has commented on it in the month I have been riding with it on my back. Since I am an armchair Occupier I have donated money as well as purchased goods that benefit the movement. All donations used to distribute union- and American-made supplies to Occupy groups across the country.